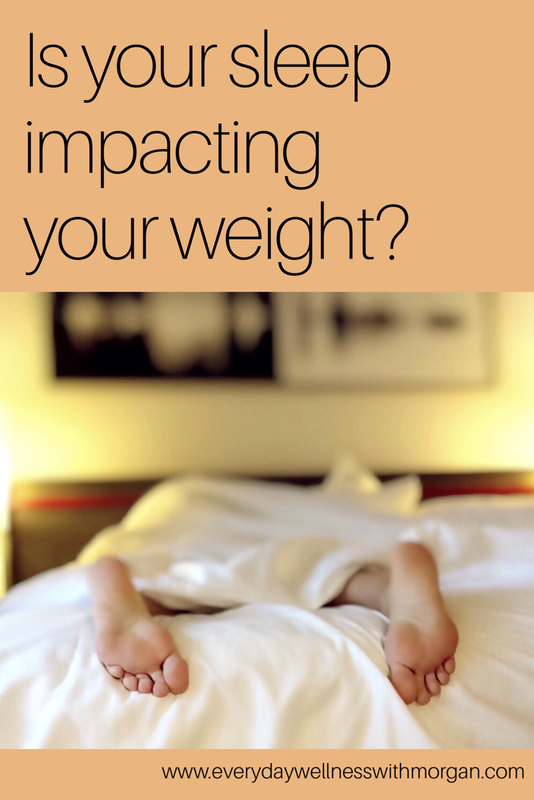 Is Your Sleep Impacting your Weight? Your life is busy. I get it. I understand that when you feel like you have a million things to do, that sleep is an easy thing to cut out. But what if I told you that simply getting more sleep could help you reach your weight loss goals? And that with the combined weight loss and increase in sleep, you would have more energy and feel better than ever? I bet I have your attention now. The regulation of your two appetite hormones, leptin and ghrelin, are markedly dependent on sleep duration. 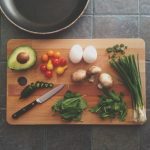 Many studies have been performed that concluded that sleep restriction was associated with reductions in leptin (the appetite suppressant) and elevations in ghrelin (the appetite stimulant) and increased hunger and appetite. This means that it can be easier for someone to overeat when they aren’t getting enough sleep. This one might seem like an obvious one…when you don’t get enough sleep, you are going to be more tired. However, this can effect more than just how we feel. When you’re tired, it is much harder to make healthier choices throughout the day. Cooking requires effort, so if you’re exhausted, you will be much more likely to stop at the drive-thru on your way home. 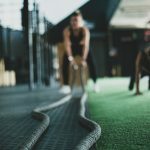 Additionally, when you’re tired, you will have less energy for your workouts which means you will workout at a lesser intensity, or even worse, skip your workout all together. And fast food and lack of exercise are never good for your health. The human body is a fascinating thing. It works so hard all day and night to keep you alive and keep everything functioning properly. One of the important things your body is doing 24 hours a day is regulating your glucose levels. Blood levels of glucose are tightly regulated within in a narrow range to avoid low blood sugar and high blood sugar. One study subjected young males to 6 nights of sleep deprivation (4 hours of sleep) to look at the effects on glucose tolerance. They found that “the values observed after 5 days of sleep restriction were similar to those observed in older adults with impaired glucose tolerance.” And that is just after 5 days! Imagine the effects after years of sleep deprivation. The same study goes on to state that “even a 2-hour reduction of sleep/night for one week is associated with increased levels of proinflammatory cytokines and low grade inflammation, a condition known to predispose to insulin resistance and diabetes” (Knutson 2007). The study also concluded that prolonged sleep deprivation may increase your risk of developing type 2 diabetes. One study even analyzed the effects of short sleep duration on children and found a positive relationship between lack of sleep and increased television watching and a decreased participation in sports. We all know that both of these things add up to less exercise, which means less calories burned during the day. The same study also concluded that children who sleep less have a higher risk of being overweight (Patel 2008). So do your children a favor, and be a bit stricter when it comes to their bedtime. I promise they will thank you. One study looked at the effects of sleep deprivation on women only. They found that “those sleeping 5 hours or less weighed on average 2.47 kg (about 5.5lbs) more at baseline than did those sleeping 7 hours, and those sleeping 6 hours were 1.24 kg (2.7lbs) heavier” (Patel 2006). So the next time you say that you are stuggling to lose those last 5 pounds…think about this study and your sleeping habits. This study analyzed women over 16 years. After 16 years, they found that “those sleeping 7–8 hours per night had the lowest risk for [a 15kg] weight gain. 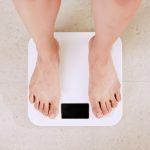 Women sleeping 6 hours were 12 percent more likely to have a 15-kg weight gain, and women sleeping 5 hours or less were 32 percent more likely.” To save you from the math, 15kgs comes out to be about 33lbs. That’s a huge weight gain just due to sleep! Now that we talked all about lack of sleep, is there such a thing as too much sleep? Most of the studies out there documented healthy sleep to be anywhere from 7-9 hours. There was actually one study done that analyzed the effects of getting over 9 hours of sleep and they found that “long-duration sleepers also exhibited a significantly higher in­crease in body weight (71%), waist circumference (47%), and percentage of body fat (94%), as compared with the increase observed in average-duration sleepers” (Chaput 2008). This is most likely due to the increased time in bed, which leads to a decreased energy expenditure during the day (i.e. less calories burned). So there you have it! Shoot for about 7-9 hours of sleep each night to maximize your health and feel your best. If you’re used to 5 hours of sleep, 7 hours might seem impossible. Slowly try to adjust your sleep by going to bed 30 minutes earlier for a week or so, and then increase from there. I promise you that you will notice the difference in a few weeks! Chaput JP; Després JP; Bouchard C; Tremblay A. The association between sleep duration and weight gain in adults: a 6-year prospective study from the Quebec Family Study. SLEEP 2008;31(4):517-523.